According to the Tribune, Congressman Peter Roskam has been 'cleared' in a probe around 'improper' travel to Taiwan with his wife. Good news, for the Congressman, we suppose. But...so much for that squeaky clean reputation. 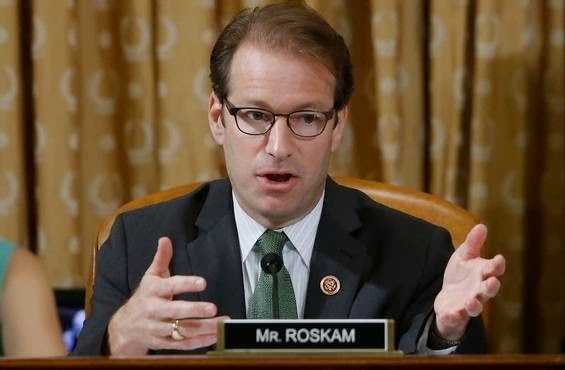 Right or wrong...Congressman Roskam will be looked at differently now. Did he do something wrong? Sounds like it is a bit of 'shades of grey' here. You know what that means? For better or for worse, everyone now has the right to think that "He's just like the rest of these guys in DC." At issue was who picked up the tab for Roskam and his wife and whether the congressman violated House rules or federal law. The case became public in July. Roskam, who entered Congress in 2007, had insisted he complied with all laws, rules and procedures on privately sponsored travel. He told House officials the Chinese Culture University paid the couple’s expenses, which reached $25,653 on the trip, Oct.15-22, 2011. The journey occurred while their daughter taught English in Taiwan. The Ethics Committee began examining the trip at the urging of the independent Office of Congressional Ethics, which began its own review in January. Except in certain cases, foreign governments may not bankroll travel by U.S. lawmakers. Being an elected official is hard. We ask a lot of our elected officials. Sounds like Congressman Roskam 'technically' did things the right way. We like Congressman Roskam. Let's hope he doesn't get too close to the line going forward, ok?